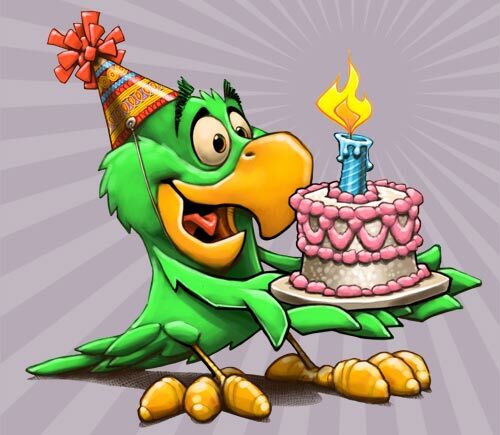 Sadly, you are right… I did say BIRDday. Mine is December 2nd.. Happy birthday. Hope you had a tops day Dennis! …thanks, guys. …however, my birthday is not until March 10. This was a little spot illustration I did for Focus On The Family of a parrot celebrating his birdday… his BIRD-day… a BIRD celebrating his BIRD-day… ya gotta love that elementary school humor!